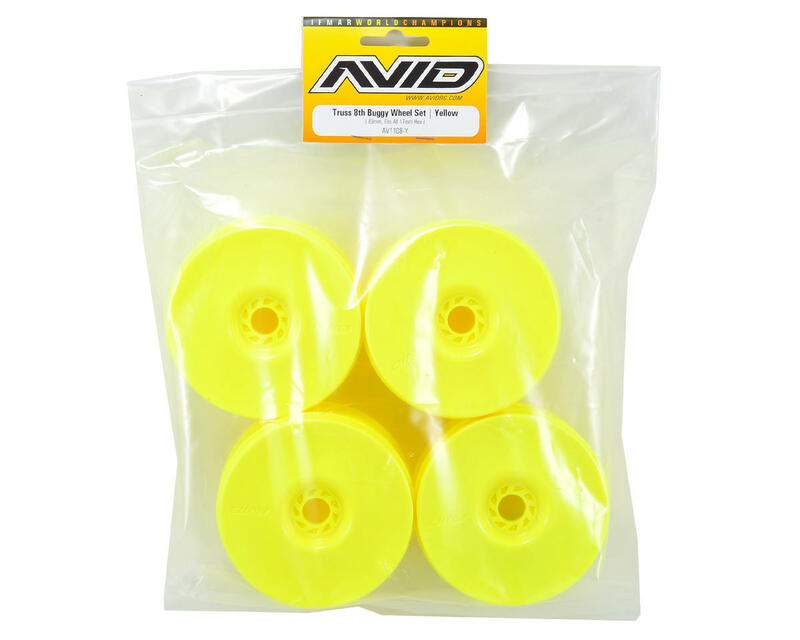 This is a pack of four yellow Avid "Truss" 83mm 1/8 Buggy Wheels. The way that the wheel affects the handling of your 1/8 buggy is often over looked. The Avid "Truss" 1/8 buggy wheel includes several unique features that provide the best performance and handling for your long and brutal main events! 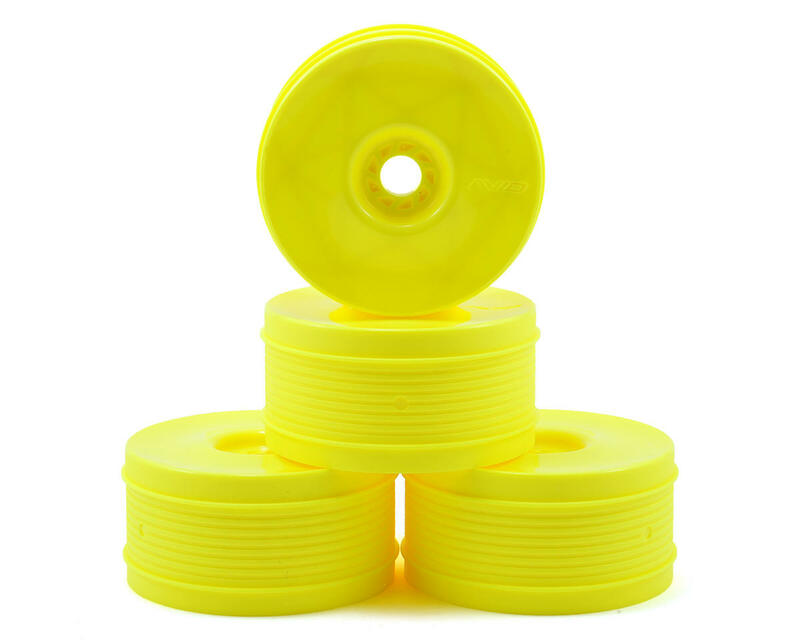 Outer channels, nick named the "foam grippers", remove a little rotating mass at the furthest point but more importantly they help prevent the foam from shifting side to side. The benefit on track is that the car has more stability, especially when you are off power trying to swerve left and right to avoid a wreck or through a set of switchbacks after a high speed section. Grabbed a set of these at the local track a couple week ago and absolutely love them. At first they seemed a bit flimsy compared to the Prolines I had been using but they hold up exceptionally well on track. The chamfered edge of the front of the wheel makes gluing nice and clean and the concave design of the face of the wheel is great; they have less surface area to scrub on a pipe and stay looking nice after hitting one as well. My new favorite wheel!